This weekend’s D23 conference is the gift that keeps on giving as its been revealed they also presented the first promotional poster for their up-coming live action feature Jungle Book. 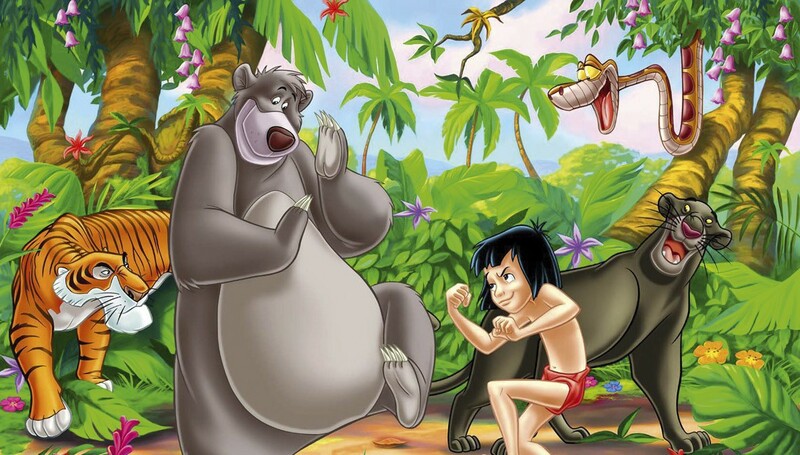 The poster was unveiled alongside first-look footage from Jon Favreau’s adaptation of the classic animated film, featuring newcomer Neel Sethi as Mowgli, alongside Ben Kingsley and Lupita Nyongo. The Disney remake has also attracted industry heavyweights, Bill Murray (who will feature as Baloo the Bear) Christopher Walken, Idris Elba and Scarlett Johansson. Disney’s D23 event has already seen details revealed regarding the highly-anticipated Finding Dory, as well as Toy Story 4 and a new ‘Jack and the Beanstalk’-inspired film called Gigantic. Footage from the upcoming Captain America: Civil War was also premiered to the awe of its audience. The Jungle Book will be released in April 2016.